After having such a successful first curry from Jamie I was keen to try another. Once again I used the mortar and pestle as I love the ritual but really the food processor would work just as well. So if you are put off due to the number of ingredients and the time it would take.. don't be afraid! This was a weekday meal for me and as such only had some gravy beef in the fridge. This worked just as well although next time may need to look for some lamb neck.. sounds delish. 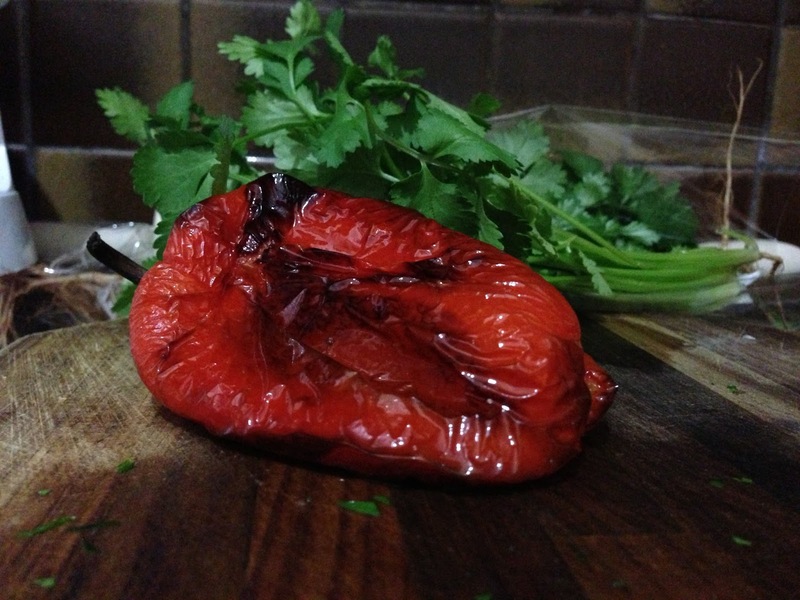 I also did not have a jar of roasted capsicum so I roasted my own! Personally I love it way better freshly roasted so I suggest you try it. Add the toasted spices to a pestle and mortar and grind until fine, or put them into a food processor and whiz to a powder. Either way, when you've ground them whiz the toasted spices in a food processor with the rest of the ingredients until you have a smooth paste. Cut the meat into 2.5cm cubes. Peel, halve and finely chop your onions. Finely slice the chilli. Peel and finely chop the ginger. Pick the coriander leaves from half the bunch and put to one side for sprinkling over. Chop the remaining coriander including the stalks. Put a large casserole-type pan on a medium to high heat and add a couple of lugs of oil and the butter. Add the onions, chilli, ginger, coriander stalks and bay leaves and cook for 10 minutes, until the onions are softened and golden. Add the lamb pieces and a little salt and pepper and cook until lightly browned. 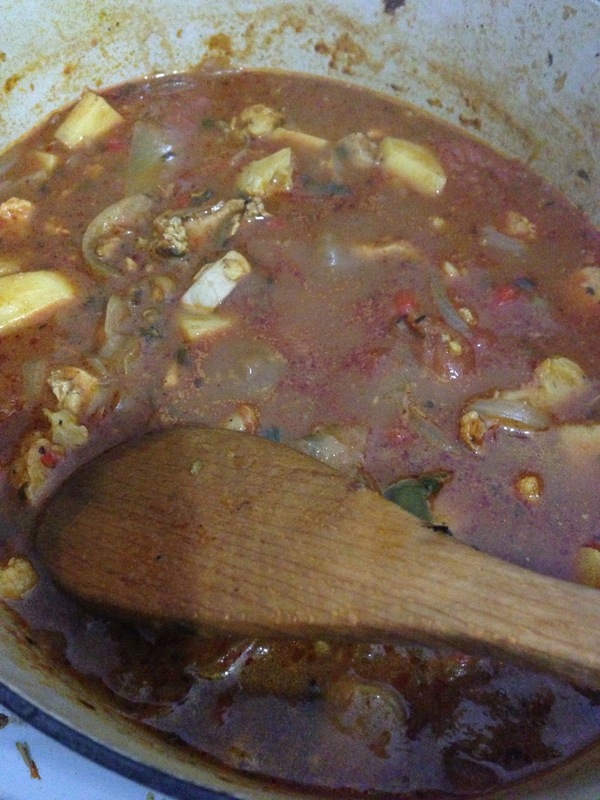 Add the balsamic vinegar and cook for 2 minutes, then add the tomatoes, stock or water and curry paste. Stir in the lentils. Bring to the boil, then turn the heat down an simmer with the lid on for about an hour. Check the curry regularly to make sure its not sticking to the pan or drying out, and add extra water if necessary. When the meat is tender and cooked, taste and add more salt and pepper only if you think it needs it. 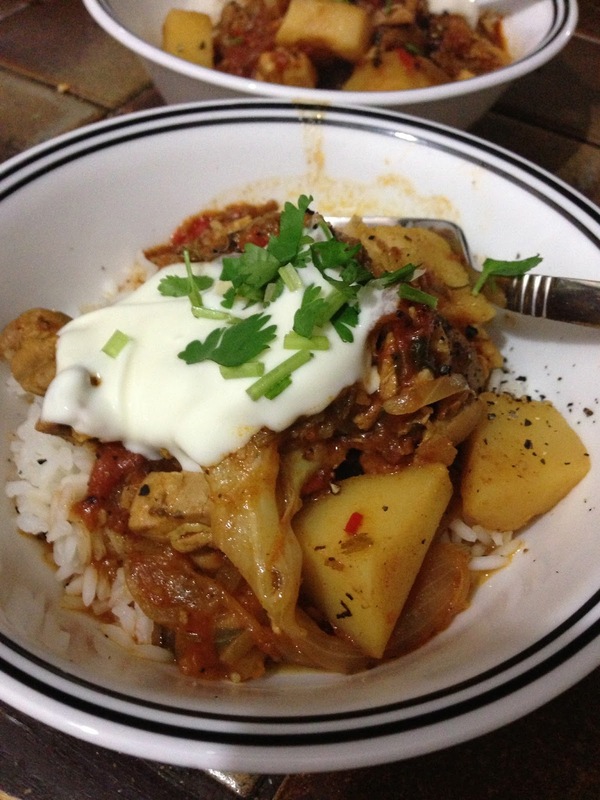 Serve with rice Vindaloo Beef Curry and Fail Safe Rice, some poppadums and with a few spoonfuls of yoghurt dolloped on top. 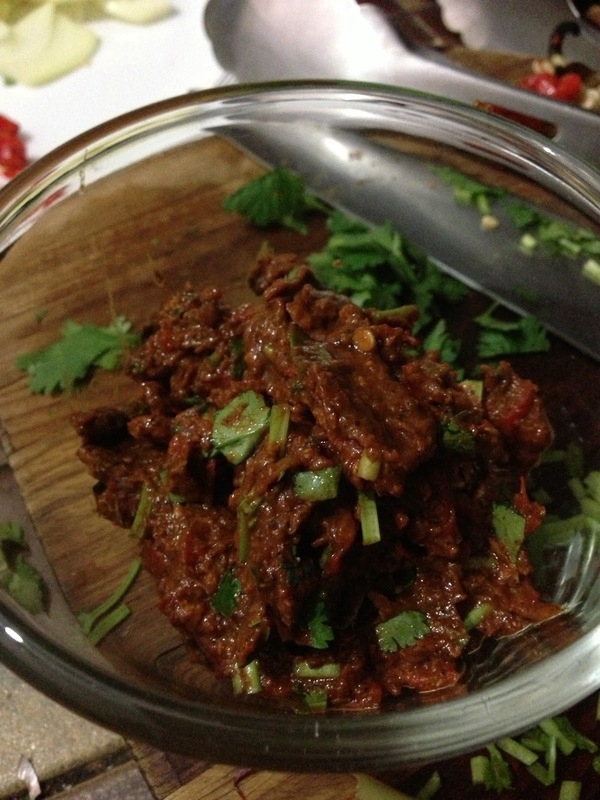 Sprinkle over the coriander leaves and serve with some lemon wedges for squeezing over. Don't forget a little green salad. Changes Made: I used beef for this one rather than lamb and missed the part about the lentils so unfortunately opted these out. Results: Once again another lovely curry. Not as hot but still jam packed with flavour and easy to make. Next Time: I would give the lentils a go as I think they would be great with everything else. Also lamb neck sounds delicious so would look out for that also.